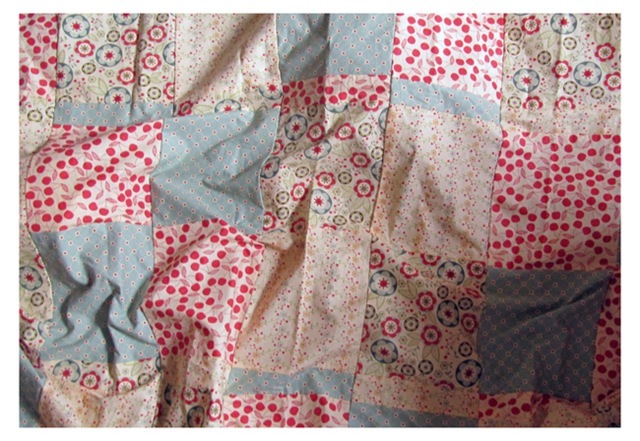 For this weeks my creative space we have various quilts, or objects that will be quilted..
Picnic quilt top waiting for backing. 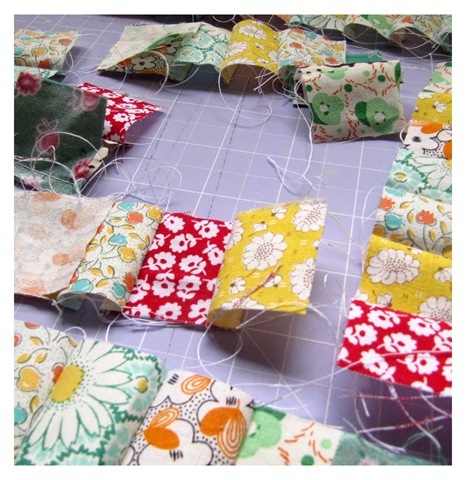 Little 1.5 inch squares which are part of the scrapbuster block. 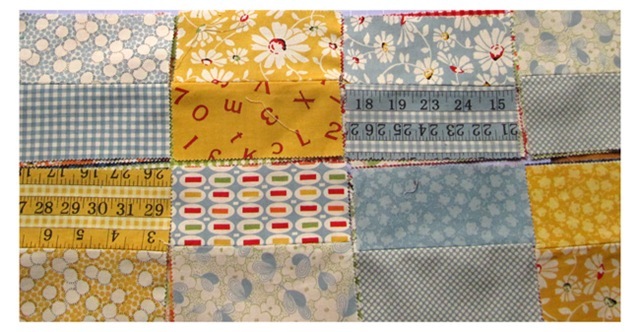 The wee play quilt ready to be sewn together into a top. 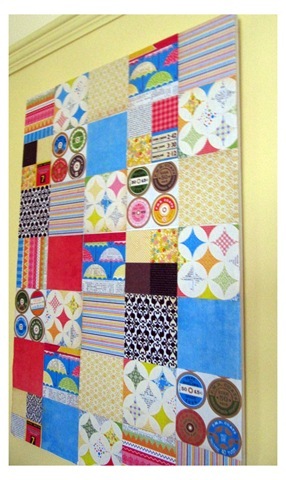 Taken in far too dim lighting we have a wall canvas that looks kind of like a quilt, but it’s scrapbook paper! I have some wooden words and am still deciding if I’m going to stick them to the canvas as well or just leave it as is. I’m joining in with Our Creative Spaces. Perhaps you’d like to as well. lots of lovely prints, a great idea with using the scrapbook papers too. I love that wall canvas. It’s gorgeous. I’d definitely add words to it.